Our vision Plan. Help. Achieve. is a series of stepping stones designed to help you explore what it means to enjoy life with financial security. Let us help you discover what your Enjoy Factor is. At Provident, your Enjoy Factor is the cornerstone of our advice and service. Since 1997, Provident has been proud to share and assist in achieving financial security for our clients in both good and bad times. By taking the worry out of what at times can be complex and difficult financial decisions, our advice aims to provide each client greater peace of mind to enjoy life. 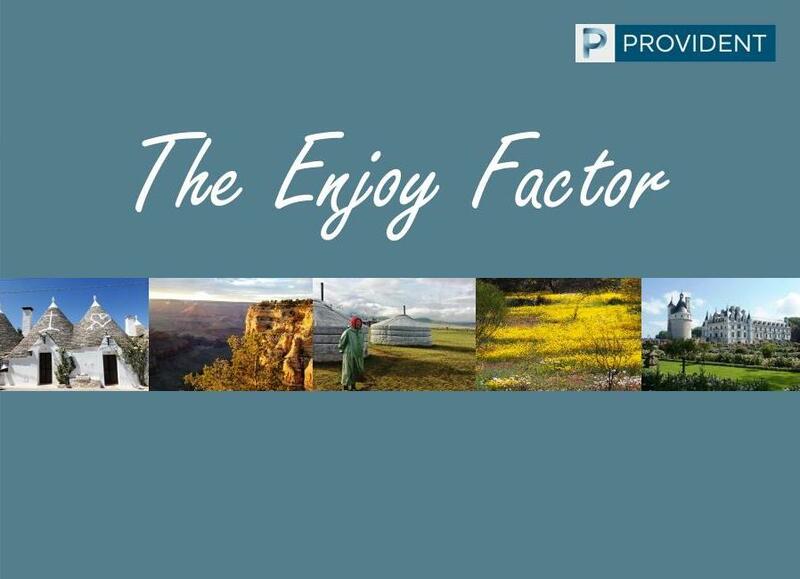 To celebrate the achievements of our clients, we publish an annual Enjoy Factor book, a diverse collection of testimonials and photos from our clients, on how Provident has assisted in creating moments of enjoyment. We truly believe that the joy of walking with someone through their financial journey and seeing them reach milestones that create their own Enjoy Factor is something worth celebrating and sharing. We are humbled by the openness of our clients who share their stories, which in part have come from the services we at Provident are proud to provide. To view our client's Enjoy Factor stories and see the wonderful photographs of their adventures, click on the book images below.